What practices, tools, and workflows have leading health care organizations adopted to assess and address social needs that impact health? Many health care organizations have begun to assess and address patients’ social needs — such as homelessness, food insecurity, and social isolation — in addition to their medical needs in an effort to improve clinical outcomes and control total cost of care. For this case study series we interviewed four early adopters to identify the operational changes they made to successfully implement and sustain social needs screening and referral programs. The organizations interviewed mirrored the make-up of CIN members and included a large integrated health system, a Federally Qualified Health Center, a health plan, and an independent practice association. This diverse group of organizations identified lessons related to standardizing social needs screening and referral programs. A few of the common lessons learned are highlighted below. Securing leadership buy-in prior to implementing a new social needs screening and/or referral program was one of the lessons most often cited by interviewees. They noted that although it was important to work with internal leadership, it was equally important to speak with providers, patients, and social service organizations to ensure the screening and referral process addressed the needs of varied stakeholders. Many of the organizations interviewed used a phased approach when implementing new social needs screening and/or referral programs. By starting out small — for example, implementing a social needs questionnaire with one department, or pilot-testing an online referral platform with a small group of highly engaged providers — organizations were able to easily identify challenges and test improvements. Once implementation proved effective and worthwhile on a small scale, the program would be distributed across the entire organization or network. In addition to providing an opportunity to implement quality improvement activities, a phased approach was also less costly to organizations (often both financially and with regard to staff bandwidth). In order to maintain engagement and momentum, it was important that organizations set and communicate realistic expectations to their staff and any external social service organizations with which they were partnering. For example, prior to implementing a new program, leadership should consider the length of time staff will need to assess and address patients for their social needs. This case study features Kaiser Permanente Northwest, an integrated health care delivery system, and its efforts to assess and address patients' social needs. 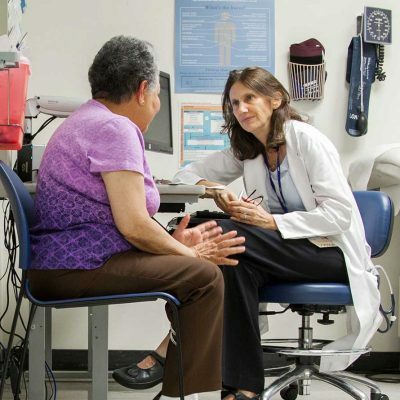 How one San Diego health center implemented the PRAPARE tool to screen patients for social needs and developed a homegrown process for referring patients to a robust system of social services. How a California health plan incorporated social needs questions into its health risk assessment and partnered with a vendor, Aunt Bertha, to develop and deploy an online social service resource directory and referral system. This case study describes an independent practice association's journey implementing Healthify, an online social service resource directory and referral system, across a large network.